Oh noes! I have to sober him up soon. Johnny is so stupid he’s cool. Or, at least he’s growin on me. I’m actually contemplating taking that “movin n groovin” panel and cropping it into a wallpaper. 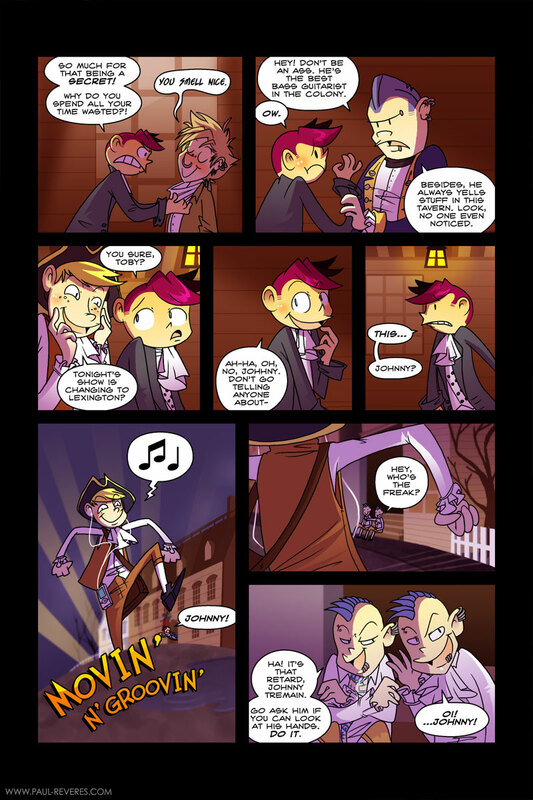 Check back here for the vote incentive on Thursday. I’m making you something. I know, right. I think he went for that subscription service too. If he had a cellphone, he’d have an N-Gage. LMAO! I don’t think he would be that lame. His burnt hands?! That’s the one part of that book I vividly remember haha. Aw, they’re all gonna laugh at him. Picking on people with gross deformities. Although, I think there needs to be an explanation, as his hands don’t appear to have anything wrong with them. Revolutionary iPod? I’ll take one! xD lol “they don’t have plumbing but they have MP3 players” niiiiiice.